Approximately 12,500 children are diagnosed with cancer every year in the United States, with more than 400 of those diagnoses occurring in Georgia. Cancer. It is a battle too many of our young children and teenagers must face every day. 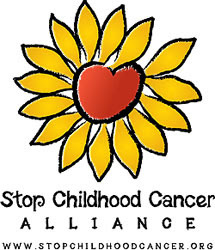 The Stop Childhood Cancer Alliance wants to see these statistics change. They hope to be the driving force in increasing awareness of childhood cancer and enhancing support for the young people fighting this disease—and the clinicians and researchers who are helping them. In honor of Childhood Cancer Awareness month, Aflac Cancer Center pediatric oncologist Dr. Howard Katzenstein, staff and volunteers at the hospital came up with the idea to make a video honoring their patients. The video "What makes you beautiful" is going viral and is full of humor, hope and happiness. Laughter is strong medicine for mind and body. Laughter also triggers healthy physical changes in the body. Humor and laughter strengthen your immune system, diminish pain, improves brain chemistry, and protects you from the damaging effects of stress.